John Parenti serves as Nook Real Estate’s Chief Financial Officer and Broker. An entrepreneur at heart, John also is Co-Founder, Broker and Owner of one of Orange County’s leading mortgage finance firms, Back Bay Funding, which was established in 2002. In addition to his role as Broker, John oversees the business planning, financial analysis, and legal matters at Nook Real Estate. Hailing from the East Coast, John relocated to Orange County after graduating from Boston College with a degree in economics. 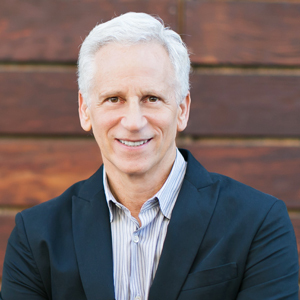 As a longtime resident of Corona del Mar, John developed a deep understanding of Orange County’s unique real estate market. John’s enthusiasm for Orange County’s coastal communities extend to his passionate for environmental sustainability, and in his free time John serves on the Board of Directors for Newport Beach’s Environmental Nature Center. Q: Why are you passionate about real estate? A: I love the entire process. Whether it is assisting a buyer or seller, I find handling the transaction to be both fascinating and rewarding. Call it the thrill of the hunt. Successfully taking a transaction from inception to closing and making that client genuinely happy is what keeps me doing what I do. A: My favorite room is actually not a room at all – it’s my yard. We have hardscaped areas for cooking, dining and relaxing that all seamlessly integrate with each other. Outdoor living is a big part of Orange County’s appeal, and I enjoy being able to have friends and family over to socialize and dine al fresco. Q: If you could change one thing about how real estate is transacted today, what would it be and why? A: The client mindset that bigger is better. Although there are many excellent agents working for smaller boutique agencies, there is still this perception on the part of many consumers that an agent needs a large “franchise” agency behind them. Q: What’s your fondest memory of your childhood home?